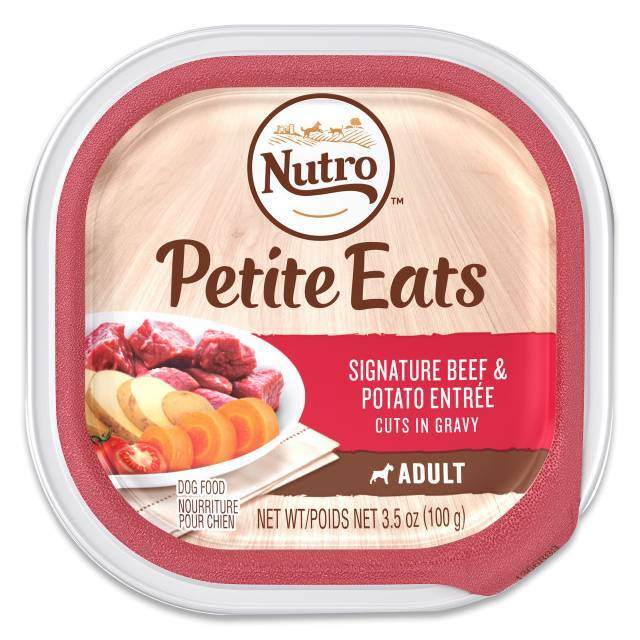 NUTRO™ PETITE EATS Signature Beef & Potato Entrée Cuts in Gravy is a tasty recipe formulated to help small breed dogs stay healthy and strong. NUTRO™ Wet Dog Food uses real beef for a great taste even finicky dogs will enjoy. Optimal levels of linoleic acid and zinc help give your dog healthy skin and a shiny coat. This natural dog food offers complete nutrition, rich in nutrients and full of flavor. NUTRO™ Quality Pledge: Natural ingredients carefully sourced from our trusted network of farmers and suppliers, no chicken by-product meal, soy, artificial flavors or preservatives.